How can you teach kids about music, give them a nice plushy toy, and help endangered animals all at the same time? Give them a Keromin! 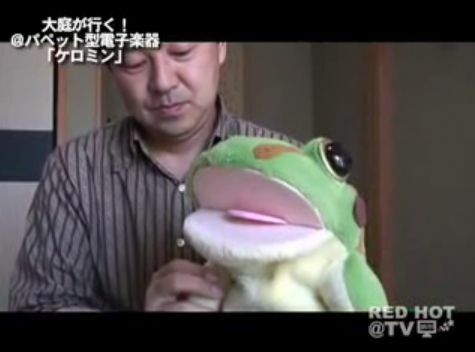 Yuji Okuyama, a Saitama engineer, has created a stuffed toy frog that looks as if it’s just a normal stuffed animal. However, a look under the green furry skin shows that this frog is indeed a work of musical art. Keromin is an unique musical instruments designed to get kids interest in music. 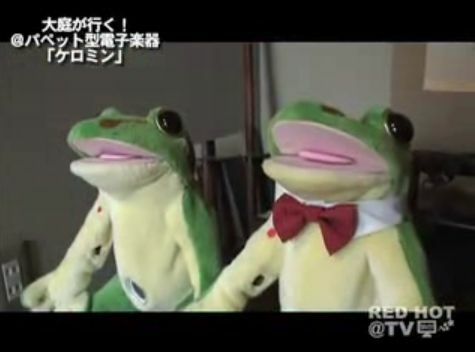 You insert your hand into the frog as if it was a puppet. Every time you open the frogs mouth, it plays a sound. 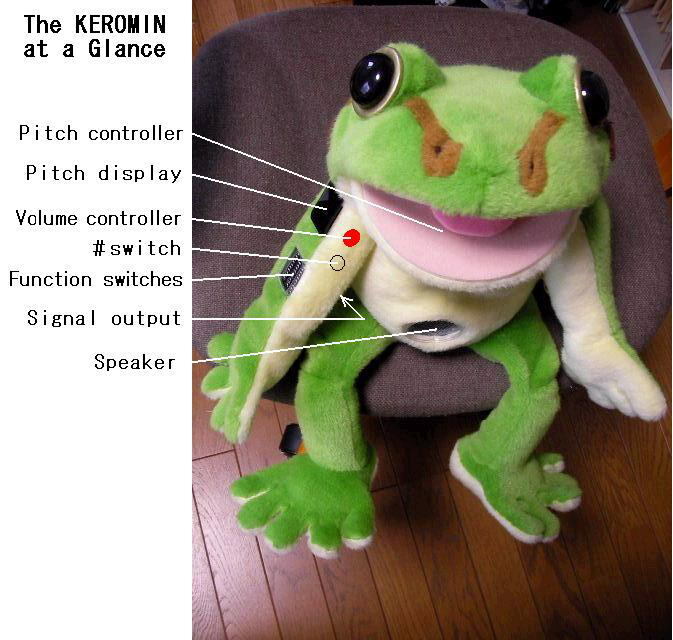 The tone can be adjusted so that you can create unique sounds, and even be part of an ensemble of Keromin frogs. There are 12 sounds in total from violins to actual frog croaks. Via Mainichi.